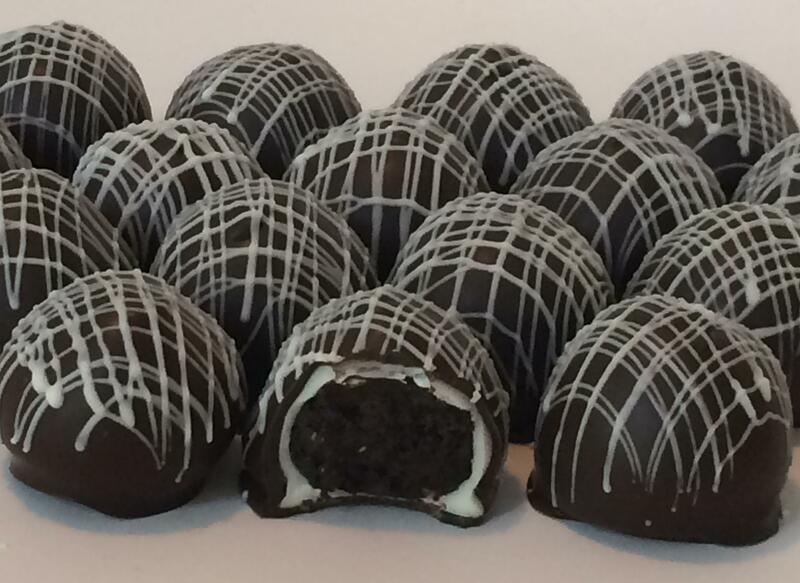 Click here to watch the instructional video I made of how to make these Oreo Truffles! This is one of the most memorable desserts I’ve ever made. Seriously. I know, memorable and dessert probably doesn’t make sense putting those two words together…but in this case, it makes perfect sense. Before I really got into baking and just made little things here and there, I was looking for Oreo recipes. I’d made an Oreo pie on several occasions before that my husband and friends absolutely love, so I decided to look around and see what I could find. While searching on the internet for different Oreo recipes, I came across this one. Really wish there had been a camera to capture the expression on my face when I read exactly what these things are. My mouth dropped, my eyes got as big as baseballs, and a long, “Ohhhhhhhh!” I couldn’t get the ingredients fast enough. Grind Oreos into fine crumbs, using an electric food chopper or food processor. Using an electric mixer, beat cream cheese and cookie crumbs until well blended. Using a mini ice cream scoop, spoon out portions of mixture onto cookie sheet lined with wax paper. Put in fridge to harden, at least 1 hour. Melt chocolate in microwave in bowl in 30 second intervals, stirring after each time until completely melted. Do not overheat, the chocolate will scald and clump together. Pull the truffle balls out of the fridge, re-roll for a smooth outside. Using a toothpick, insert into each ball, dip into chocolate to fully cover, shake off excess chocolate and place back on wax paper to harden. For decoration, put melted white chocolate in squeeze bottle and drizzle over top of truffles. Place in mini muffin liners, store in refrigerator. I made another batch of these, but changed a few things this time around. These are slightly bigger, so instead of using the mini scoop, I used the cookie size scoop to make a slightly bigger size truffle. These have also been double dipped…the first time, in melted white chocolate, and the second time in dark chocolate. When drizzling more white chocolate on top, I snipped a very small hole in a cake decorating pastry bag, and drizzled back and forth in two different directions on the truffles. I like this version even better!